dispose of your old suite. 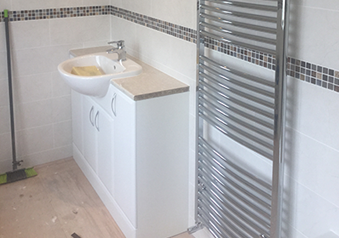 Welcome to Top Bathrooms, one of Bedfordshire’s leading independent Bathroom Design and Installation companies. 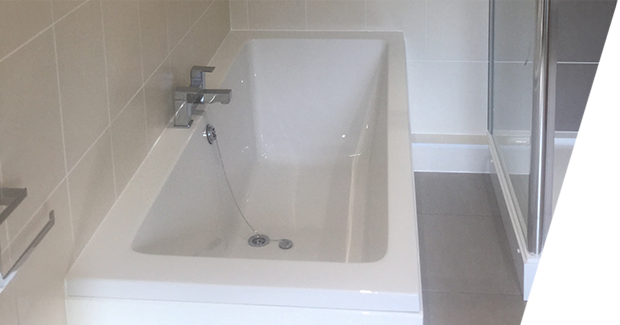 We were started by Tom Phelan in 1997, who, after several years working as a design consultant for some of the large national companies in the south east, decided that we can and will do things better with splendid bathroom suites in Bedford and Milton Keynes. Hello Tom, We just wanted to drop you a mail to say thank you to you, Sean and the team for the fantastic job you did on the bathroom. We are very pleased with the finish and have no problems if you need to use us for a reference. 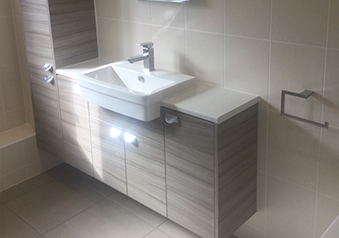 Hello Tom, We thank you and your team for a fantastic job done on the bathroom and for being incredibly efficient. I have pleasure in sending you the attached photos of our bathroom, tried to take the best angle. Hope you find it acceptable. Dear Tom, It was remiss of me not to mention Michael this morning. We wish to place on record how very pleased we are with him and his work. He fitted in so well with us, right down to his choice of radio station. We liked it so much that we asked him what it was. It was a pleasure having him working here. We talked about the leftover tiles. I will keep them, in the hope that having them will mean that I never need them! Thank you very much for our new bathroom. Hello Tom, We are delighted with the work which has really transformed our bathroom. The communication and organisation of deliveries and workforce was first class. Sean and Joe worked very hard and were obliging and polite throughout the two weeks they were here. They were well worth the gallons of tea they consumed! 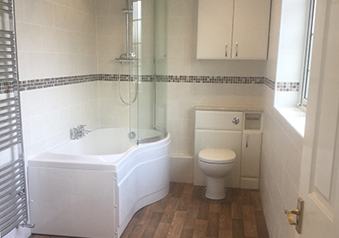 We will be happy to recommend Top Bathrooms.